Formed in 2000 by four Starbucks employees in Mesquite, Texax, the Afters are an alternative CCM rock outfit originally known as Blisse. In 2000, under their original moniker, members Marc Dodd (drums), Matt Fuqua (guitar and vocals), Josh Havens (vocals and guitar), and Brad Wigg (bass and vocals) went into the studio to record a six-song EP. They sold all 2,000 copies in a few weeks and earned enough money to return to the studio to cut their debut, When The World Is Wonderful. Independently released in 2001 under their original name Blisse, the album sold more than 25,000 copies and became a staple on Dallas rock radio. The band knew it was onto something, but it was a show on Halloween 2002 that convinced Dodd. "That was when I knew I was finally going to be able to quit Starbucks," he says with a laugh. "We were on stage and all of a sudden the parts clicked into place at the same time. It felt like nothing could stop us." Wigg explains, "We were able to draw people in at our live performances initially through our onstage charisma. Especially Josh. He has that sort of dreamy, wistful look of innocent vulnerability while maintaining a degree of confident charm. But when you break the show down to its elements there's a great deal of variety to be found. Josh sings, I sing, Matt sings, we have pop songs, we have really dramatic rock-your-face-off songs, we have sweeping, melodic ballads. There really is something for everyone." 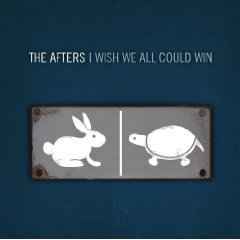 Two years later and with a new moniker, The Afters signed with Simple/INO Records to record their follow-up, I Wish We All Could Win. Based on the strength of the album, Epic Records agreed to sign The Afters and release the album in the winter of 2005. I Wish We All could win balances muscular power chords with soaring melodies and simple acoustic moments with majestic orchestration to create an epic soundscape. "Our music is about finding common ground and looking past the simple labels that people use to divide the world into easily defined subcultures," says Josh Havens, guitarist and vocalist for the Texas-based rock quartet The Afters. The album's first single, "Beautiful Love" opens with a crescendo of guitar, piano and drums before Havens' nimble voice and a chorus of ringing guitars break through the din. The song was written, Havens says, while his wife was in Mexico on a humanitarian-aid trip. "Shortly after we got married, she left to help build houses for people who were living in shanties. I was back in Dallas strumming on a guitar thinking about how people say 'love can change the world.' It's usually a cliché, but my wife was living out that ideal. That night I wrote 'Beautiful Love' for her and all the magical things that can come from love." The hopeful message in "Beautiful Love" taps into a theme that runs throughout the album with songs like "Love Lead Me On," "Someday" and "Until the World." "We're all in this world living our life, trying to do our best and trying to figure out why we're here," Havens explains. "Essentially, the album is about running the race of life. At the end of the race, there are winners and losers. With these songs, we explored a utopian outlook where everyone wins and everyone lives for something greater than their own desires." 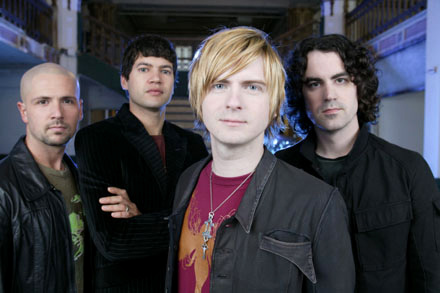 The Afters were named New Artist of the Year at the Gospel Music Association’s 2006 Dove Awards. “Someday,” “You” and the album’s title track also made impressive inroads on the charts and solidified The Afters’ reputation as one of the hot new bands to watch. The band's next album, Never Going Back To Ok was released in 2008. Reflecting on there comes a time in most everyone’s life when you decide the status quo isn’t good enough. Whether the result of a dramatic epiphany or a gentle revelation, the desire to escape mediocrity and embrace the best God has for us suddenly seems overwhelming. 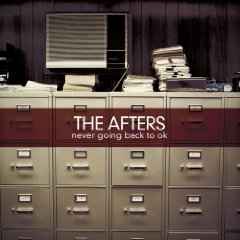 It’s that powerful transformation that lies at the core of The Afters’ new project, Never Going Back To OK.
Never Going Back To Ok again features all the components that made The Afters previous collection a hit--the memorable melodies, compelling lyrics, skilled musicianship and Havens’ engaging lead vocals. Yet as Havens stated, the band was challenged to step it up on this new release and with one listen, it’s obvious they not only met, but exceeded that challenge. Whether on pensive ballads such as “Ocean Wide” or potent tracks like “Keeping Me Alive,” the band demonstrates the chops they developed over the past three years of relentless touring.